You know, I bet a little live blogging would help. That's right, it's time to dig into "the world's most irresistible ice cream", also know as Graeter's. Since 1870.... yeah, 1870, like 142 years ago 1870, Graeter's has been making small batch ice cream and I can't believe I finally got my hands on some. To be honest, I'm not sure how you go nationwide while still making french pot ice cream two gallons at a time... ahhh, according to the Cincinnati Business Courier, Graeter's expanded by building a new plant in Bond Hill in 2009 with every intention of going national. Well with the ability to make a million gallons a year, let me be the first to say "Welcome to New England!" You know, I'm trying to be good and set up this review, but I really want some ice cream RIGHT NOW. ha, trying to dig out the one on the right but it's stuck!! This is the biggest chocolate "chip" I've ever seen! This ice cream definitely has a unique texture, a little watery almost. For a high fat ice cream, it feels light and goes down easy. I have a feeling that I could polish this pint off pretty easily. 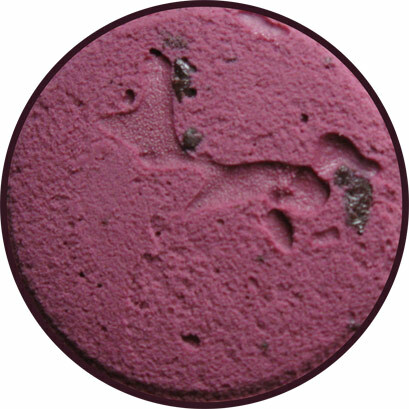 It kind of reminds me of Talenti since it has almost a watery/icy texture to it (not that this is a bad thing on a high end product. 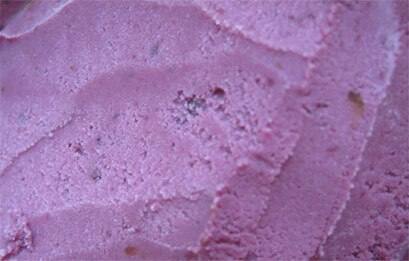 The iciness creates a bit of a cleanness to the texture --- sorry, I keep saying this, but it's evident in every scoop. I wouldn't call it creamy because that implies an underlying milk flavor that I'm just not picking up like I would on B&J or H-D.
OK, maybe the chocolate is filling me up after all. It's probably where a lot of the fat comes from too.... ok, time to put this away, but not before I take some more small bites. Ok, it's in the freezer and I'm just sitting here debating how I feel. Wow. I certainly set the expectations bar really crazy high for this one. Was it worth $4.99 a pint? Well it's high end and it came a long way, so I'll say that the price is fair enough. I just can't believe how much it reminds me of Talenti. I mean that as a compliment, but it's such a bizarre coincidence. Is my life changed? Probably not, it's just ice cream. There's definitely a strong residual flavor that is really making me crave pretzels (mmmm, Snyders dipping sticks, so tasty). I like it, I'm sure I'll buy the other flavors, I'm just debating how it will rank with the other premium brands. On Second Scoop: For whatever reason, I have this thing were I usually down a big glass of chocolate milk on Sunday morning. Today however I went with a small serving of Graeter's. 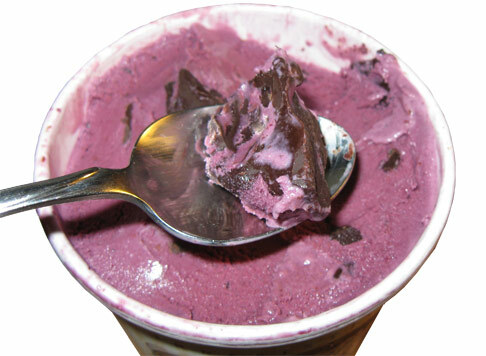 I was so distracted by the giant chocolate chips yesterday that I totally missed that there are tiny chocolate bits everywhere and they add a chocolate flavor to the whole black raspberry base. I guess it leaves me wondering what a non-chip version of this would taste like. On Second Scooper: my wife finished this one off for me, guess that leaves more room to try another flavor --- which I did here. I just needed to start with the basics! I've been staring at this flavor every time I've gone to the grocery store since I've mentioned seeing them to you. I'm glad you picked it up before I did. I'd probably wait for it to go on sale before I pick it up now. Can't wait for the reviews of the other flavors. Easily the best ice cream I have ever had. It is so decadent that you are satisifed with a few scoops. Unlike the lower quality ice cream where you can go through a whole carton and still want something afterwards. The base is light like a sorbet, but as creamy as an ice cream...which compliments the big chunks. 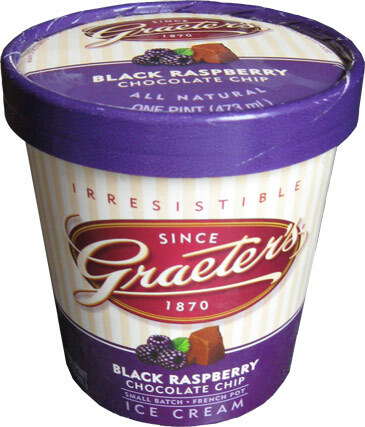 THE MOST DELICIOUS ICE CREAM ON THE PLANET IS GRAETERS, AND THEIR MOST DELICIOUS FLAVOR IS THE BLACK RASBERRY CHOCOLATE CHIP. TO DIE FOR! 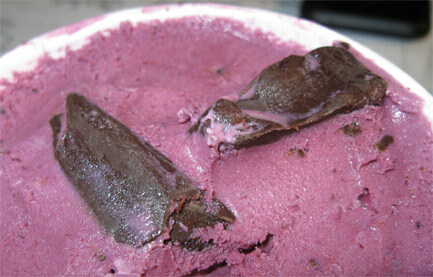 THE FLAVORS ARE EXTREMELY INTENSE, RICH AND PURE.GRAETER'SCARAMEL IS DIVINE TOO. I love Graeter's Black Raspberry Chip, but I can't help wishing it was more tart - maybe that's just what I expect from fruit flavors though. Either way, A++! If it was icy/watery, it was probably because whoever carried it allowed it to melt and refreeze. thank you captain obvious for commenting on a five year old review. May I humbly suggest you check out the dozen plus graeters reviews that I've written since this first one, it might help add a bit of context for you.